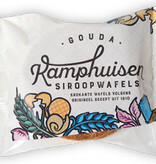 Authentic stroopwafels (siroopwafels) from Gouda, baked fresh following an old family recipe of the Kamphuisen family. 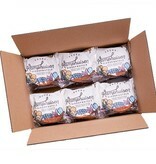 Each wrapped package contains 5 stroopwafels. These stroopwafels are made with the utmost care and carefully inspected before being shipped. This means they’ll arrive fresh, crunchy, and delicious! 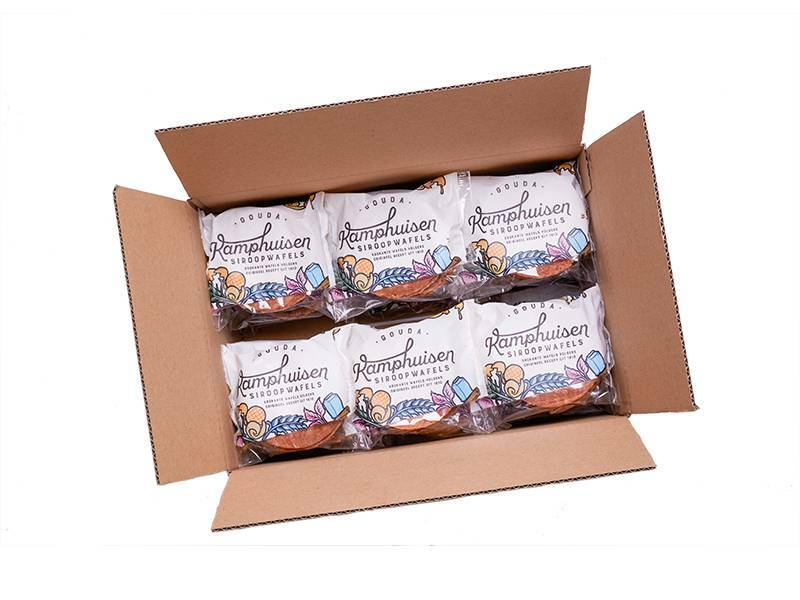 The stroopwafels can be shipped anywhere within the Netherlands or internationally. 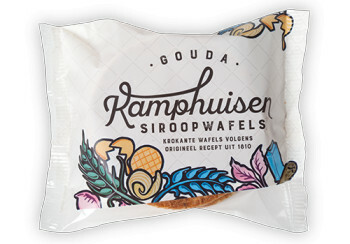 These Kamphuisen Siroopwafels come in a box of 24 packages of 5 stroopwafels per package. Stroopwafel World recommends them as wonderful corporate gifts, conference gifts, welcome bag inclusions, or thank you presents. They’re sure to be a hit in the Netherlands or internationally!